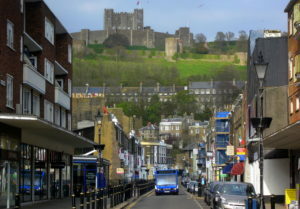 The city of Dover is a mixed city with attractions for both the young and old as well as serving for many interests of individuals. 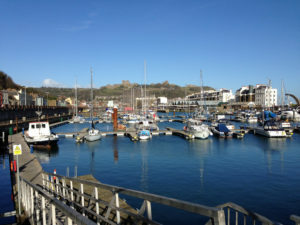 A city with a historical background as well as with natural beauty, it is one of the most visited cities in England overlooking the Strait of Dover . This ferry port city has been of significance since the time of the Romans, who used the oceanic city as a military base. The Romans built a fortified city and to this date a prominent light house is present, which gave guidance to sailors when travelling. It is the tallest structure built by the Romans in England. Further, a few Roman paintings too are present in the city which is of significant importance. For the nature lovers one could visit the Samphire Hoe, this is a country park which is located west of Dover in Kent, found in the southeast of England. This park was created using large quantities of chalk marl from the channel tunnel excavations and is located at the bottom of a section of the white Cliffs of Dover. This place is accessible by the public via a single track tunnel which is controlled by traffic lights crossing over the south Eastern Main Line with a tunnel underneath. The visitors have facilities of a car park, tea kiosk etc. The White Cliffs of Dover, is also an attraction which brings in many individuals who love to be entertained by nature. These limestone cliffs were built gradually through evolution when the area was submerged by sea sometime back and the sea bed filled with sediments of cocoliths and other sea creatures. Once the flooding faded, the structures came out and even today, the fossilised remains are visible. The Wingham Wildlife park is a great place for the nature lover to experience flora and fauna. The park has different species of fish , mammals, reptiles, invertebrates and birds and stretches to over 26 aches. This park first came up as the Wingham Bird Park with a small collection of aviary birds and water fowl. The Kearsney Abbey Gardens is yet another attraction and is a great place for the public to come an enjoy an evening at leisure, with mature trees and 2 ponds. One can go cycling or sit and leisure and be peaceful. A cafeteria too is at hand for the visitors.